The development of Del-Immune V® involves a rich history, spanning development from Bulgaria, Russia, Ukraine and the United States. In the early 1960s, a scientific team led by Bulgarian medical doctor and microbiologist Ivan Bogdanov (MD, PhD) researched a variety of lactobacillus strains believing the immune system could eliminate cancer. Dr. Bogdanov et al. were successful in Moscow and eliminated a sarcoma in laboratory animals using a mixture of lactobacillus cell fragments. His work is the first documented research showing the positive impact of probiotic lactobacillus cell fragments on the immune system. This discovery led to the biological research of lactobacillus cell wall fragments which are produced by lysing, or breaking, the lactobacillus cell. 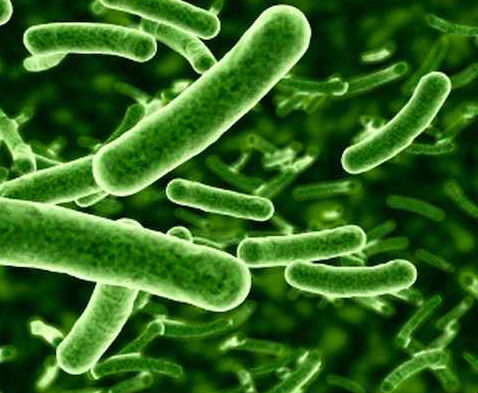 Research on lactobacillus strains continued as a primary interest of study in Bulgaria, Russia and the Ukraine. On April 2nd, 1979, a Soviet Union biological warfare research laboratory accidentally released anthrax from a biological weapons complex near the city of Sverdlovsk. During his many trips to Russia, John heard many stories about the accidental release of anthrax. He was told that after the accidental release, some leaders in the Soviet military asked the government to provide protection against biological warfare agents such as plague, smallpox, anthrax, etc. At their request, a special research institute conducted research to identify an effective product, and the result was a lactobacillus cell wall fragment made from a special strain. This product was the grandfather of what would come to be Del-Immune V®. In 1999, John Sichel, a licensed pharmacist, was introduced to the lactobacillus cell wall product by one of his trusted business associates who had gained the commercial rights. Over Christmas break in 2000, John gave the product to his daughter Pam, who was experiencing flu symptoms. She recovered from the winter bug within twelve hours and continued taking the product to combat her Hepatitis C and improve her energy. After six months, Pam’s doctor was unable to find traces of the Hepatitis C and asked Pam what she had been taking. It was the lactobacillus cell wall fragment product. Word of mouth, print advertisements, newspaper articles, and commercials account for the growth in Del-Immune V’s popularity in the United States and within 10+ countries worldwide. There have been thousands of Del-Immune V users and the number is steadily increasing, especially with growing exposure on the internet. Our customers take Del-Immune V® to support the immune system when faced with a variety of conditions, including the common cold, cancer, sinusitis and more.